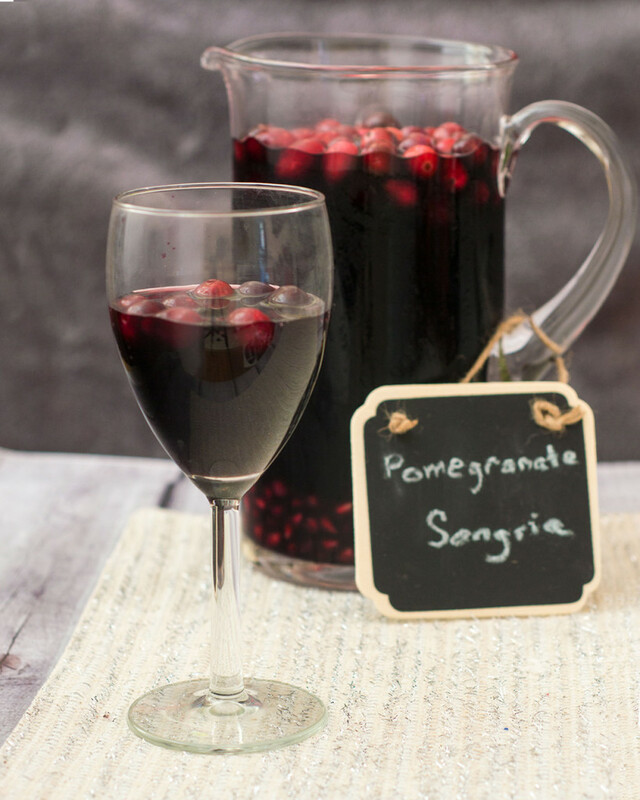 Pomegranate sangria combines fruity red wine with pomegranate and cranberry, with cinnamon for a hint of spice. Make a large batch a day ahead for a winning party cocktail! Happy November, readers! I hope you all had a fun Halloween with more treats than tricks. But now, Halloween is over. I don’t know about you, but November and December always seem to go by in a whirlwind. There’s so much I want to do, and between work, hobbies, family, and friends, there hardly seems to be enough time to do it. Cooking and baking and shopping and wrapping and parties … I’m sure some would say to let something go, but I love everything to do with the holidays, and want to do it all! That’s why today’s #SundaySupper is all about easy holiday entertaining. Quick recipes, make-ahead recipes, no-bake recipes and lots of tips and tricks to make holiday entertaining easier. As soon as I heard about this #SundaySupper theme, I knew the exact recipe I wanted to make. 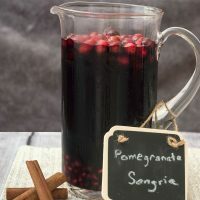 I have hosted Thanksgiving for the past three or so years, and I made this sangria recipe last year. Sangria is a delicious, easy cocktail for holiday entertaining. Not only can it be made ahead, it SHOULD be made ahead, and chilled in the refrigerator so the flavors have time to infuse. This one starts with red wine, preferably one with fruity notes. I used a Cabernet sauvignon. In addition to the brandy and pomegranate juice, you could also add a cup or so of apple cider. My favorite part of this recipe, though, is the cinnamon. It provides a nice, warm aftertaste with each sip of the sangria. Perfect for winter holidays! 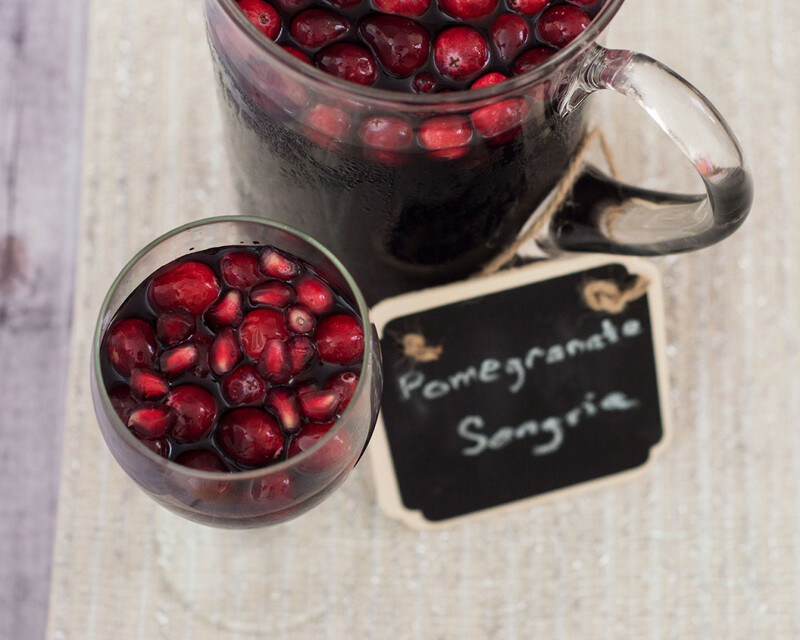 Combine the wine, pomegranate juice, and brandy in a large pitcher. Add the pomegranate seeds, cranberries and cinnamon stick. Chill in the refrigerator for at least four hours, or up to 48 hours, before serving. 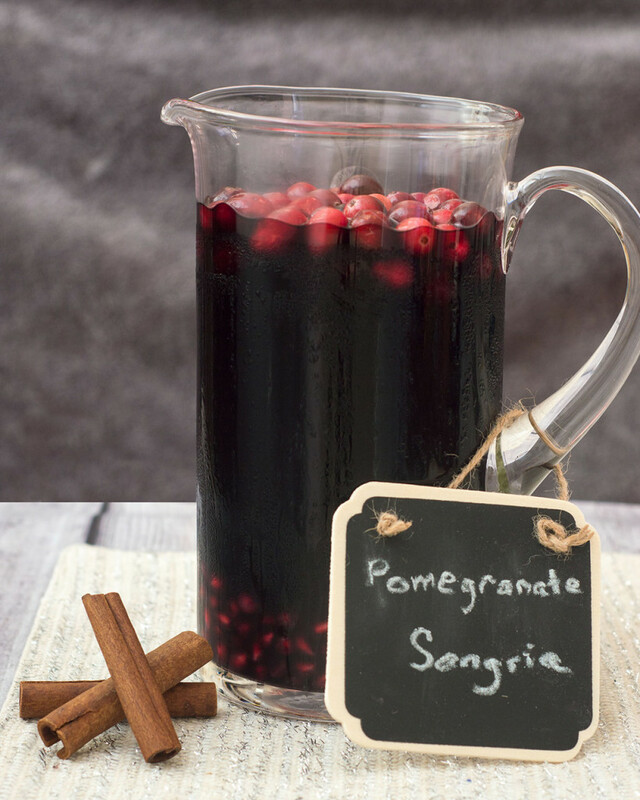 I tend to drink sangria in the summer, but yours is perfect for the holidays! SO beautiful with the cranberries and pomegranate arils! I made a similar recipe a few years ago, for my daughter’s birthday party – sooo good! What a gorgeous red color! What a pretty holiday entertaining idea! Looks gorgeous and very doable for an easy holiday! Great post! Oh I just HAVE to make this during the holidays! What a perfect combination of flavors. I love Sangria!